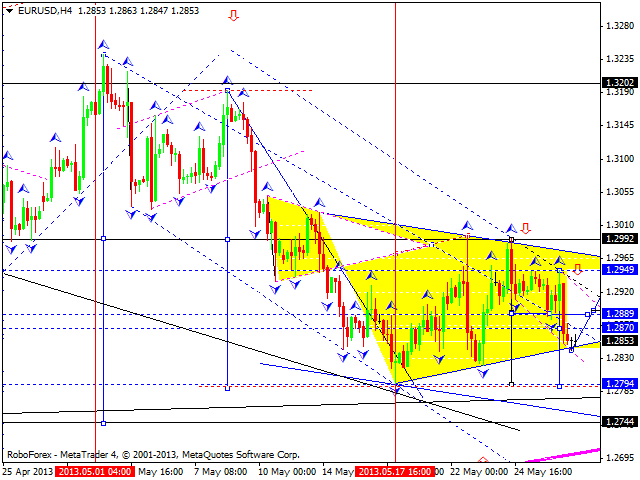 Euro reached the target at 1.2940, continued falling down, and tested triangle’s lower border. We think, today the price may return to the level of 1.2900 and then start forming a new descending structure to break the pattern’s lower border. The target is at 1.2800. Later, in our opinion, the pair may form a correction to return to the level of 1.2990. Pound is moving inside the fifth descending wave. We think, today the price may reach a new minimum at 1.5010, return to the level of 1.5070, and then form another descending structure to reach the level of 1.4990. 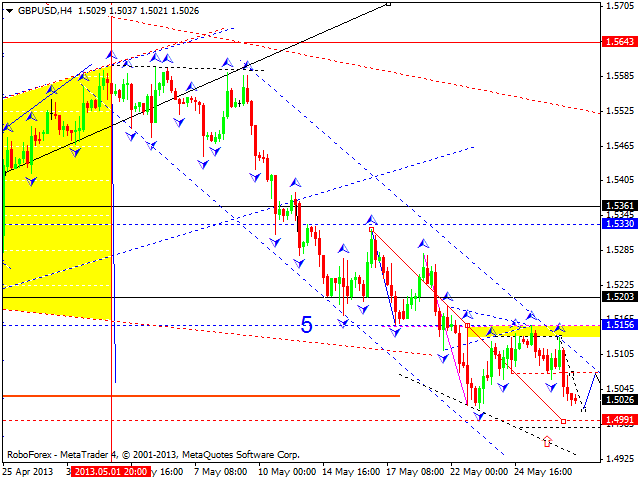 Later, in our opinion, the pair may start a new correction to return to the level of 1.5330. 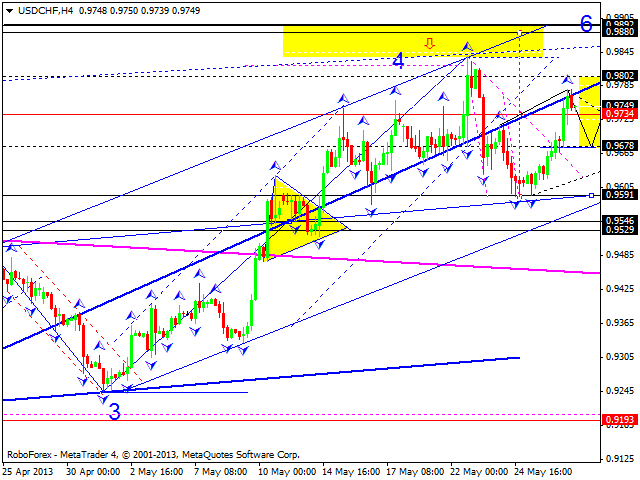 Franc is still forming the fifth ascending wave with the target at 0.9880. We think, today the price may form a descending correction back to the level of 0.9680 and then start growing up again to reach the target at 0.9800. Later, in our opinion, the pair may for another correction towards the level of 0.9730 and then continue moving upwards to reach the main target of this wave. 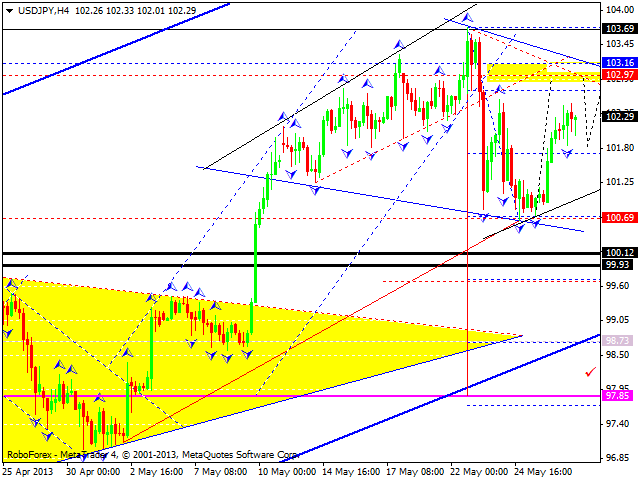 The USD/JPY currency pair continues forming an ascending wave with the target at 103.15. We think, today the price may fall down a little bit to return to the level of 101.80 and then form a new ascending structure to reach the above-mentioned target. Later, in our opinion, the market may start falling down again to reach the level of 99.40. Australian Dollar reached the target of its descending wave; the pair formed divergent triangle pattern near the minimums. We think, today the price may form the right part of a continuation pattern and return to the level of 0.9710. 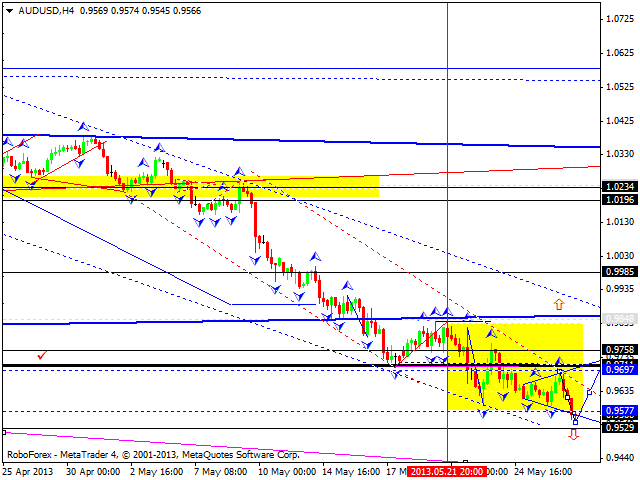 Later, in our opinion, the market may start a new descending trend towards the target at 0.8800. 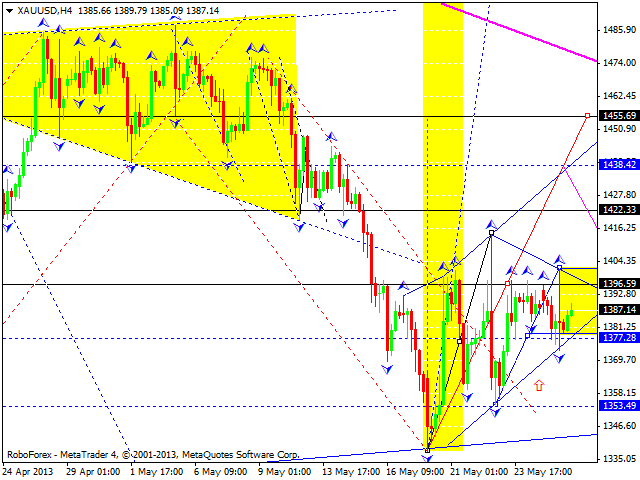 Gold reached the level of 1400 once again and right now is forming a descending correction. We think, today the price may form a new ascending structure to reach the above-mentioned level and then the target at 1420. Later, in our opinion, the instrument may start one more correction to return to the level of 1400 and then form another ascending wave towards the target at 1455.